The Ministry of environmental protection 16 days to report, expected in November 16th this year to 20, North China, Huang Huai, Guanzhong area will appear heavy pollution, large range of air is expected to Beijing, Tianjin, the air quality in southern Hebei province and other regions will reach 4 consecutive days of severe pollution, part of the city in a certain period of time will be seriously polluted. Insiders said that in recent years, frequent haze that city residents gradually increasing demand for air purifiers, air purification products from niche consumer to public view, is expected to air purifier market will show a clear warming trend this year, the overall demand is expected to show rapid growth. The PRC is expected this year, air purifier products retail volume and retail sales year-on-year growth will reach 19.3% and 23.6%. Data show that in October this year, online air purifier sales reached 244 thousand units, an increase of 118.1%, growth of 21.5%. and an air purifier, in November 11th reached 620 million yuan of sales, an increase of 113.1%. from the product structure, with high particle air filter function products accounted for the highest, reaching 85.9%. from the price distribution, 2000 yuan to 2999 yuan are most favored by consumers, sales accounted for more than 29.7%. 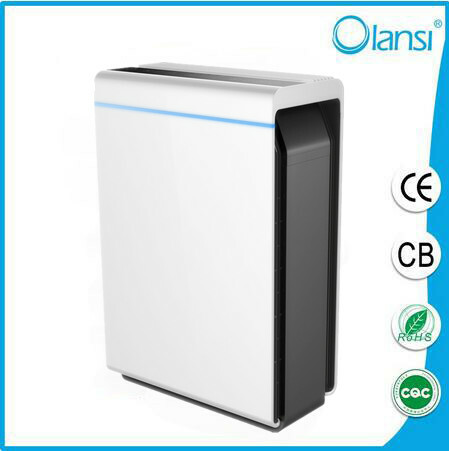 air purifier in the western developed countries in high penetration. American household penetration rate of 27%, Canada, Italy, Japan and other countries of the popularity rate is above 20%. The popularity of China’s air purifier ownership rate is less than 1%. A huge room for improvement. In recent years, China’s air purifier industry to maintain rapid growth, the industry average annual growth rate of sales reached 47.7%, sales amount reached an average annual growth rate of 43.1%. growth momentum agencies believe that air purifier main source of the rapid rise in electricity, accelerate the air purifier market sales channels change. At present, the young consumer market is becoming the main force of consumption, 52.2% of consumers online buy air purifier products, the consumer demand directly stimulating the online retail market scale. From January to May this year, China’s air purifier market online retail accounted for more than 54%, is expected to online retail sales accounted for this year is expected to reach 61%. in addition, the new national standard air purifier landing will also bring to the market expansion opportunities. This year, the new national standard in March 1st the formal implementation of the air purifier, air purifier brands have large layout, clean air output ratio (Cadr) production Product will grow rapidly, the future will become the main battlefield of the air purifier market. Recently, a website published 2013 annual consumption China keywords. Among them, the “haze” on the list. The data show that the national Amoy friends against the haze of a spent 870 million yuan. Masks, air purifiers, indoor treadmills and other goods were bought 4 million 500 thousand times. The haze from the north to the south of the way that the diffusion. One weekend I call Shenzhen buddy ride together, he was relentlessly rejected — recently is haze, I got respiratory uncomfortable, you don’t go out for it. This is ironic, sports has become unhealthy things. In my anguish, this Air-Purifier bike comforting my heart. The front is equipped with an electric air purifier, air purifier riding, by inhalation, the pollutants (including dust particles) can be filtered. Out, is the filtered clean air. If you think this is all that is completely mistaken, Air-Purifier bike has a “photosynthesis bike” alias, tripod body through the photoelectric effect to convert sunlight to electricity, start the operation of the fuel cell body, thereby generating oxygen even. 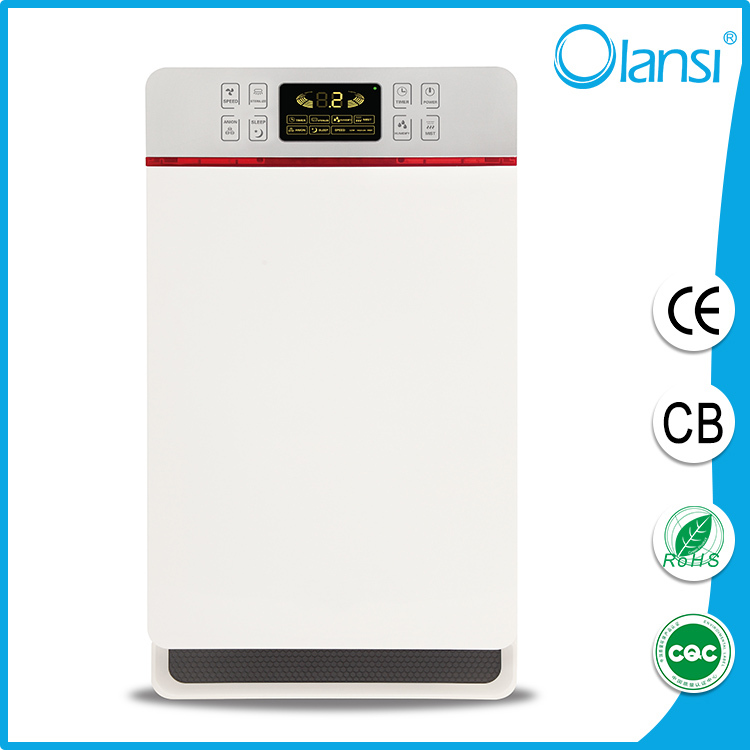 When not in use, it is also capable of air purifier and oxygen production machine. However, want to see Air-Purifier bike and Mami difficult, because it is still in the conceptual stage.Air purifier bike creative director also admitted it, there are still a lot of unknowns, they have only one kind of model, but they will make a prototype to prove the feasibility of this idea. With it German red dot design award, who can say that dreams come true one day be far behind? To the bafflement of some local residents, the world’s largest outdoor air purifier arrived in Beijing to help the capital combat its persistent hazardous smog. The brainchild of Dutch designer Daan Roosegaarde, the tower is undergoing last -minute checks in Beijing’s 751 D Park art area. The public, meanwhile, are bemused by the tower’s function and have called on authorities to curb dangerous sources of polluting particles. The Smog Free Tower will soon be opened to the public, and will be toured across the country, the Legal Daily reported, quoting China Forum of Environmental Journalists, an NGO under China’s Ministry of Environmental Protection. According to the Studio Roosegaarde website, the 7-meter-tall tower can capture about 75 percent of PM 2.5 and PM 10 particles in its vicinity and then release purified air to create a “bubble” of fresh air around it. The tower can clean 30,000 cubic meters of air per hour through its patented ozone-free ion technology. Liu Guozheng, CFEJ secretary-general, told the newspaper that bringing the tower to Beijing is intended to warn authorities never to forget their duty and encourage the public to pull together to combat the smog. Beijing has been plagued with heavy smog since the beginning of October. The city’s environmental authorities issued a yellow alert for air pollution Tuesday afternoon. Netizens expressed their frustration over the tower. “The so-called divine smog cleaner is more like a piece of performance art, which makes almost zero difference to cleaner air in the city. It devours the polluted air and exhales fresh air, but so little it won’t make any difference. The air will stay polluted,” said one Sina Weibo user. A lot of people worry about the air they breathe. With all of the cars on the road and factories spewing out toxins, air pollution is pretty bad. What a lot of people don’t realize is that indoor air pollution can be even worse than the pollution outside. Indoors we have to deal with things like dust, pet dander, mold spores, pollen, volatile organic compounds, fumes from cleaning products and other household chemicals, the list goes on and on. Some of the things floating around in the air inside your home can trigger allergic reactions, and some things can actually make you very sick. Because indoor air pollution is such a big problem, buying a good air purifier would be a wise investment and on this page we’re going to tell you what you should look for when shopping for an air purifier. Does the EPA Advocate the Use of Home Air Purifiers? To reduce the contaminants that lower air quality in the home, the Environmental Protection Agency first and foremost recommends minimizing or eliminating the sources of the pollution and increasing ventilation in order to replace bad air with good. However, there are limitations to how much of each of these you can effectively do. Some pollution sources can be easily dealt with, but others cannot. Opening windows to increase air circulation is not always a convenient option, and as the Association of Home Appliance Manufacturers points out, ventilation is relatively poor in many modern homes, as they were designed to be “energy efficient” by reducing airflow to and from the outdoors as much as possible. The EPA therefore also recommends the use of air purifiers to supplement these other avenues of cleaning indoor air. Most air cleaners are not effective at removing unwanted gases, being designed instead to target unhealthy particles floating in the air. Among these particles, the relatively larger ones are often missed by the air cleaner because gravity pulls them to the ground more quickly than smaller particles, keeping them out of the purifier’s reach. Therefore, no one should ever expect air cleaners alone to have a significant impact onindoor air quality. Nevertheless, a high-quality air cleaner can be used to improve certain aspects the air you breathe in your home, and can be an important part of your overall air-purifying strategy. The main function of most air cleaners, therefore, is combating smaller contaminating particles. Research has shown that good air purifiers, even those of the smaller, portable variety, are up to 90% effective in reducing these smaller particles, such as those caused by cat dander and dust mites. The EPA has certain recommendations regarding the use of portable air purifiers. In order to achieve maximum effectiveness, the portable air cleaner should be placed somewhere away from walls or other obstructions and positioned in such a way that the clean air is blown into open, occupied areas. If there is some specific source of pollution, the purifier should be placed nearby. Such purifiers work far better when all doors and windows of the room in which they are located are closed. Do Air Purifiers Work For Mold Removal? – Partially. Some air purifiers may effectively remove mold particles from the air but are ineffective against killing mold spores. Spores are typically resistant even to UV light treatment. However, if spores become trapped in a filter, this does keep them from proliferating in your home. Careful and proper disposal of used filters is essential. We recommend changing filters outside your home to prevent unwanted release of trapped particles and spores. Do Air Purifiers Work For Pet Allergies? – Partially. Some air purifiers can remove pet hair and dander trapped in the air. However, heavier pet dander particles often fall out of the air column and settle onto surfaces. Frequent cleaning is recommended. Also, keep pets out of sleeping areas to avoid contact with pet dander throughout the night and other sleeping times. Do Air Purifiers Help With Hay Fever?– Depends on the source of your hay fever allergy. According to the Mayo Clinic, hay fever can be caused by various pollens, fungi and mold spores, dust mites or cockroaches, and pet dander. Air purifiers range in their effectiveness of cleaning the air of these particles depending on model type. Air purifiers are most effective at reducing pollen particles in the air column and are recommended by the Mayo Clinic. Dust mite feces, cockroach body parts and pet dander are typically heavier particles that fall out of the air column and must be cleaned from surfaces. Use allergen covers on bedding and pillows to protect against the most common exposure to dust mites. Keep pets out of sleeping areas. Use HEPA filter equipped vacuums to clean surfaces. In conclusion, air purifiers, while not sufficient to deal with all the hazards of indoor air pollution on their own, are a useful tool which should not be overlooked by anyone interested in keeping his or her home’s air as clean as possible. 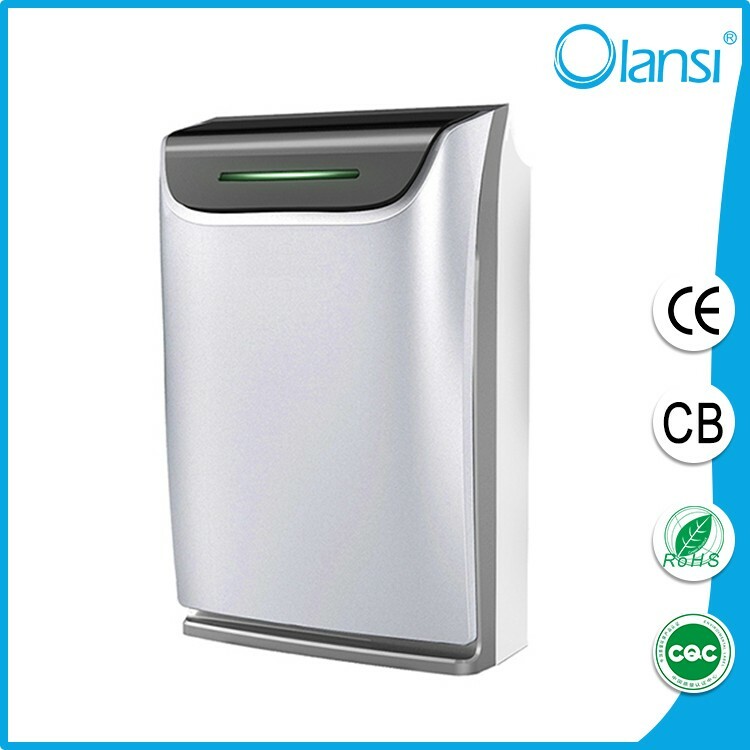 When the air purifier is of good quality and used effectively, it has an important role to play in the fight against the toxins and irritants that infest our inside air. Air purifiers are not very effective with dust mite allergies since these allergens tend to remain on surfaces like pillows, bedding, furniture etc.